(EMU) – St. Kitts, July 24th, 2017: Congratulations are in order for the staff, volunteers and students of the Charles A. Halbert Public Library’s annual Summer Camp. 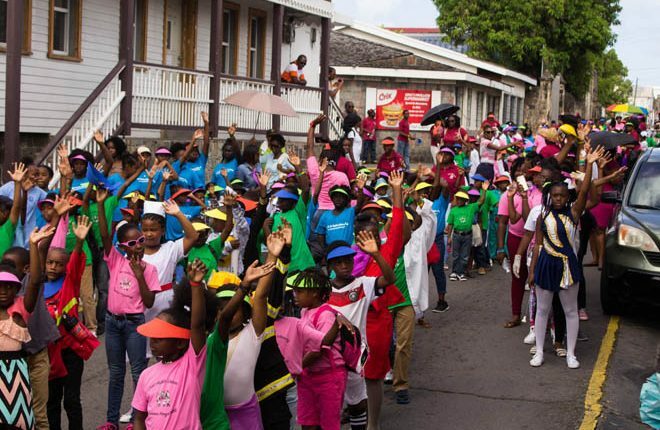 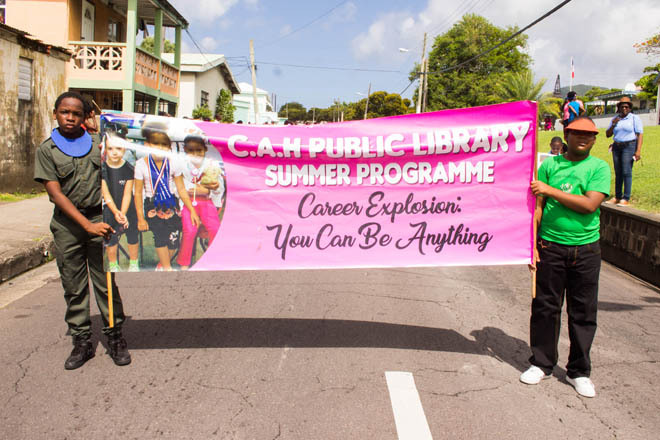 The group marched through the streets of Basseterre on Friday 21st July to mark the successful completion of the two-week camp, which was held under the theme, Career Explosion: You Can Be Anything! 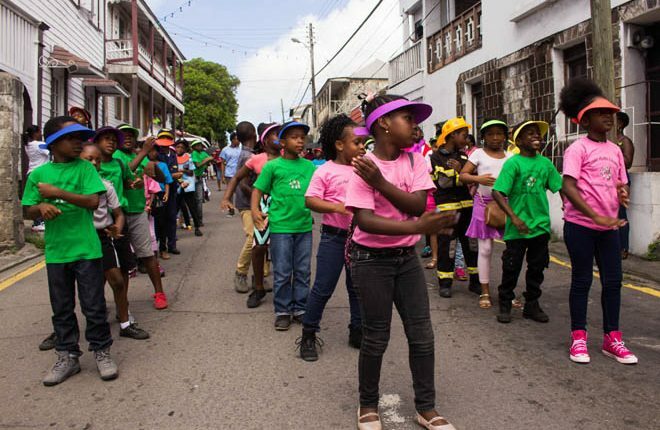 Held on the compounds of the Irish Town Primary School, the two-week summer programme catered to approximately 120 children between the ages of 5 and 12. 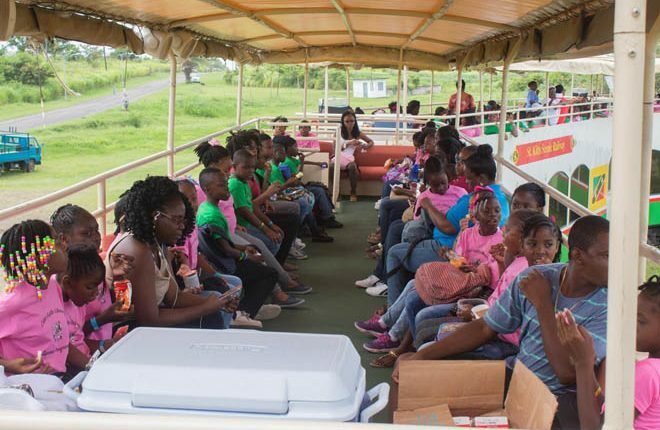 Daily the students were engaged in craft making, visits by public and private sector departments and companies as well as budding entrepreneurs. The students were also encouraged to participate in fun activities, including hands-on science experiments and literacy-based craft workshops. The highlights of the camp were visits to the Governor General’s House at Springfield, a tour on the Scenic Railway and visits by officers of Fire and Rescue Services and the K9 Unit.